Picture waking up each morning with the soothing sounds of nature surrounding your PEI cottage. Birds singing, squirrels scampering through the trees and the call of a mallard breaks the stillness in the cool morning air. Grab a coffee and walk down to the deck overlooking the lake and smell the freshness. Watch and listen as the still lake is interrupted by trout drawing ripples in the mirror surface. The kitchens in all the cottages are fully equipped with fridge, stove, microwave, kettle, coffee pot, Satellite TV. Dishes and cutlery. The screened porch is a great place to sit in the fresh air. Smoking is permitted on the porch. We ask that you do not smoke in the cottages. All the cottages are equipped with fans; some have ceiling fans and other have portable fans. 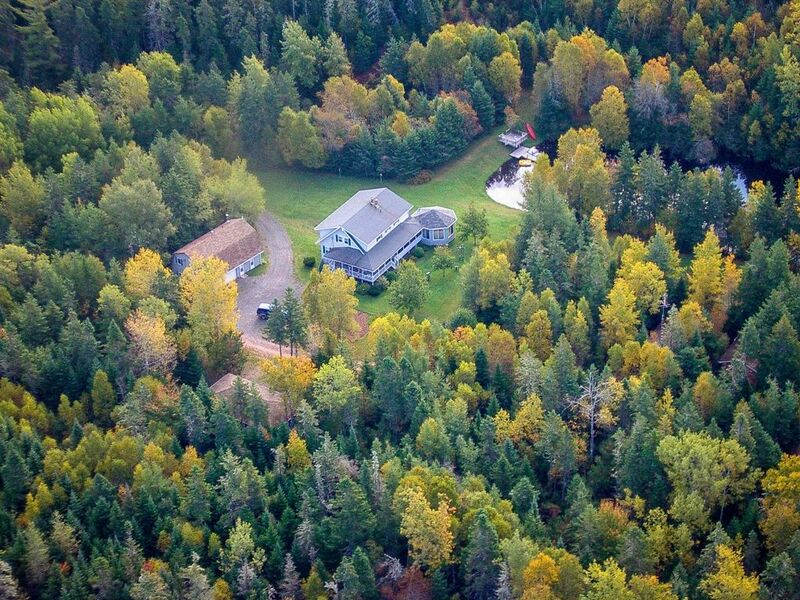 Forest and Stream Cottages is located in southeastern PEI, just outside Murray Harbour on Points East Coastal Drive. Our property is 20 acres of natural beauty with walking trails and the only easy access to a trout filled 1 km long fresh water lake. Located south off highway 18 (Cape Bear Road) just west of Murray Harbour Village welcome sign. We are 20 minutes to Wood Island Ferry terminal and only 45 minutes to Charlottetown. Chech out our Forest and stream App for things to do and points of interest. We do offer discounted rates from time to time based on specific number of night stays and/or slower times periods. We ask that our guests refrain from smoking in the cottages. Smoking is permitted on the screened porch. Small pets are permitted but guest are responsible for any damages or extra cleaning costs. We do offer discounted rates from time to time based on specific number of night stays and/or slower times periods. The above prices do not include taxes. We ask that our guests refrain from smoking in the cottages. Smoking is permitted on the screened porch. Small pets are permitted but guest are responsible for any damages or extra cleaning costs. No pets permitted in Guest House Forest and Stream Cottages is an ideal family setting. Bed &amp; Breakfast is also available at Country Charm B&amp;B (same location, same hosts) The above prices do not include taxes. We ask that our guests refrain from smoking in the cottages. Smoking is permitted on the screened porch. Small pets are permitted but guest are responsible for any damages or extra cleaning costs. No pets permitted in Guest House Forest and Stream Cottages is an ideal family setting. Bed &amp; Breakfast is also available at Country Charm B&amp;B (same location, same hosts) Extra person fee of 12 per person per night after the first 2 guests.